Adding fruit to beer might seem like a gimmick. 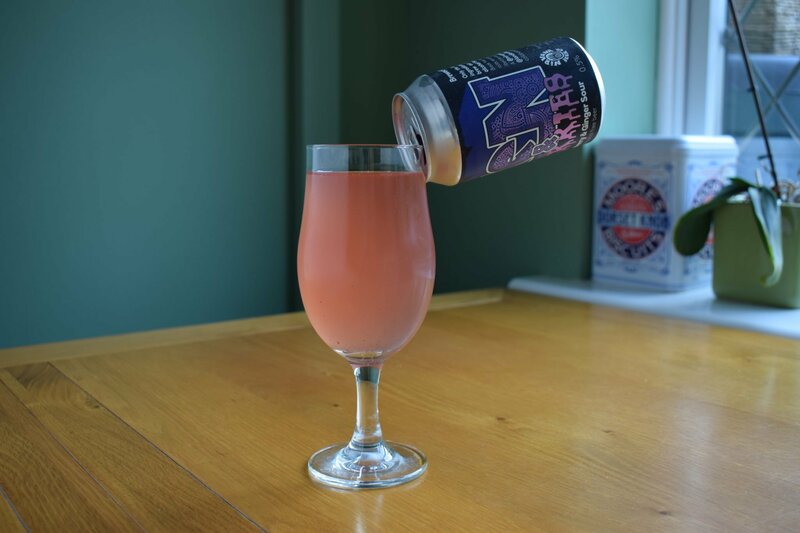 Yet, while it’s true that fruit beer was traditionally a rare sight in countries like the UK, US and Germany, Belgium has a long history of breweries adding fruit to their sour beers. Nowadays of course, the advent of the craft beer movement means that you’re just a likely to find a fruit beer from Brooklyn as you are Brussels. 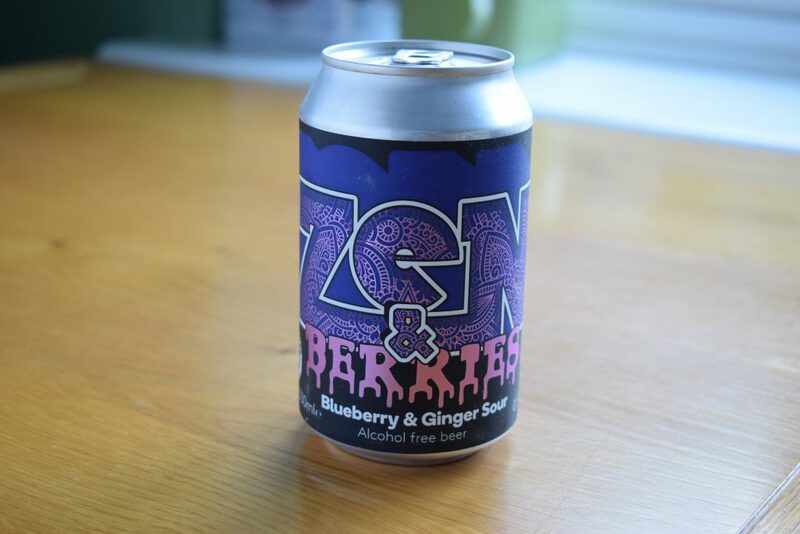 “Zen and Berries” is a fruit beer born in east London. It’s a collaboration brew between Leyton’s Nirvana Brewery and Hackney’s London Fields Brewery. Nirvana was one of the first specialist low and no alcohol breweries, opening in 2017. Its brews include “Karma“, a pale ale I rated highly earlier this year. London Fields was among the new wave of breweries that opened in London in the early 2010s. It’s now owned by global beer brand Carlsberg. Zen and Berries is primarily a sour beer. 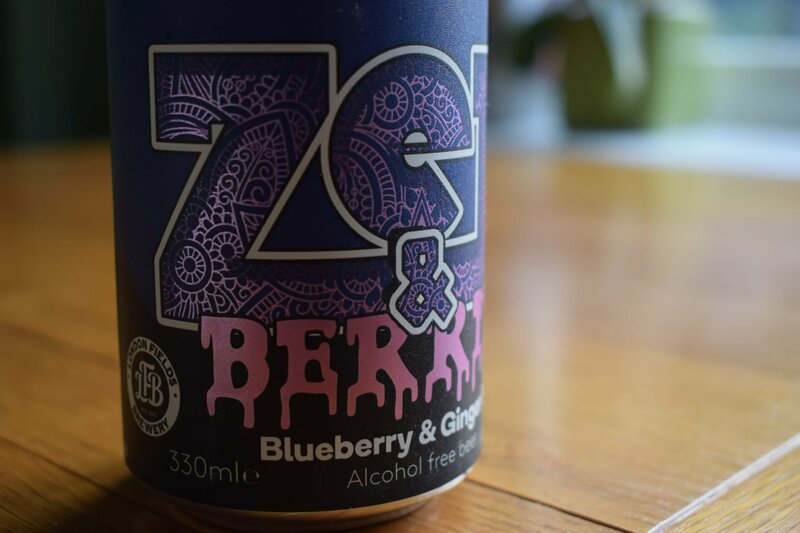 As well as the fruit – UK-sourced blueberries – it contains ginger and saffron alongside hops, yeast and malt. To give it its sourness, the brewers added the Lactobacillus bacteria. This converts sugar into lactic acid, lowering the beer’s pH making it more acidic to create that sourness – a fault in many beers but a desirable characteristic (obviously) in a sour beer. Zen and Berries pours light pink with a purple tinge. It’s incredibly fizzy, but bubbles are tight, leaving no froth. A refreshing sourness reigns over the aroma with the blueberries only coming through with a deep sniff. There’s no maltiness or hop aroma. The body is thin, which complements the style perfectly. There are a few bits of fruity sediment, giving it an artisan feel. So pour carefully. The flavour reminded me more of cherries than blueberries. 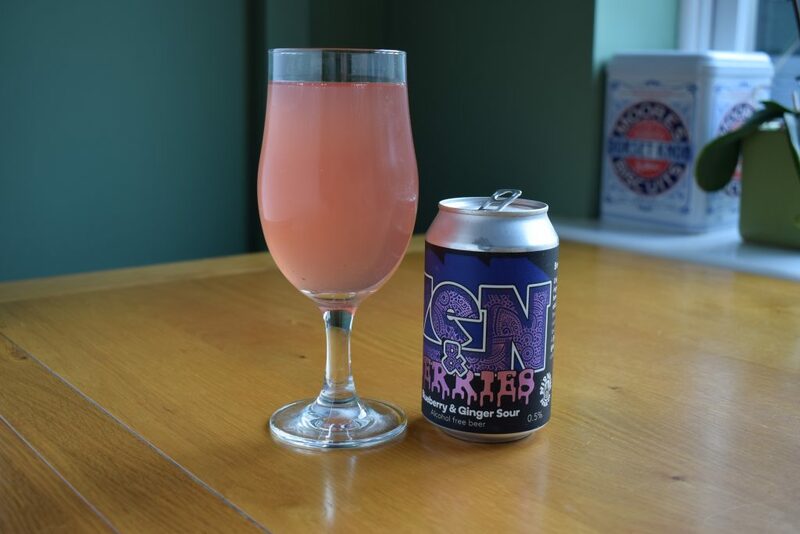 It’s tart and refreshing and has a little warmth when the ginger kicks in mid sip. A bit of maltiness joins the blueberries and ginger after a few gulps. The finish is acidic yet backed by the sweetness of the fruit. I was initially dubious of this beer but I loved it. 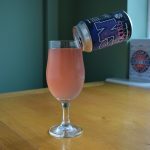 It’s a perfect “grown-up” alcohol-free drink and will appeal to adventurous beer fans as well as non-beer drinkers. And, being a sour, there’s no danger of finishing this one off too quickly. The breweries involved in this one launched it as a summer drink. But the warming ginger means it will go down well in the colder months too.